Mr G and I had the incredible luxury of staying in Riviera Nayarit for the annual Gourmet Festival. I wasn’t really sure where Riviera Nayarit was other than the fact that it’s a few minutes away from Puerto Vallarta and a short plane ride from Los Angeles. Get ready because I’m going to deluge you with a series of posts about the food, spa and sightseeing in and around Riviera Nayarit. 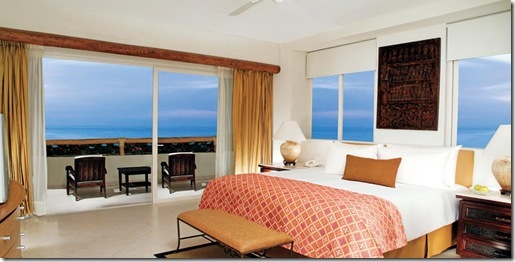 We stayed at the Grand Velas Riviera Nayarit. Take everything you think you know about All Inclusive Resorts and throw it out the window. 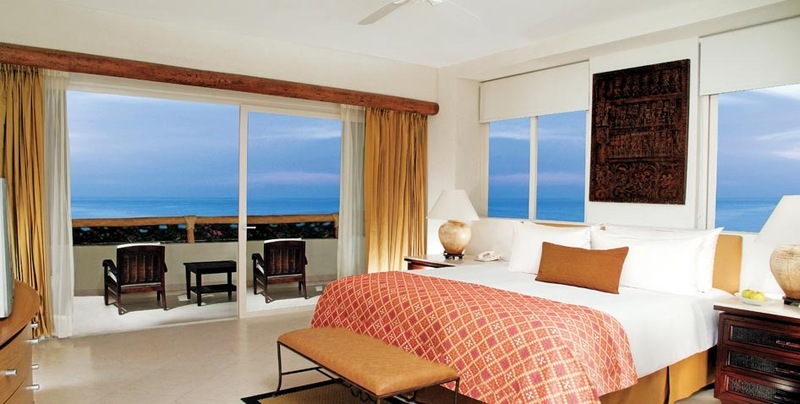 The Grand Velas is a AAA five diamond property with a handful of four diamond restaurants on site. After touring the property I’m quite sure I could check in there without asking for a second room. This is the most standard room, it’s not a room, it’s a suite, but again it’s the most modest room. I couldn’t help myself, I took a video of the Presidential Suite. I don’t recall how much it costs, but it’s definitely in the range of, “If you have to ask you can’t afford it”. I was shocked that the larger suites were all in very high demand. What recession? We were there very specifically for the Gourmet Food Festival, which occurs in the area every November. There are visiting chefs and special menus that should not be missed. Every dish was a work of art and I fell in love with fresh sardines. If, like me, you grew up on canned sardines give the fresh ones a try, they are delightful and the absolute opposite of whatever happens in that can. This week I’ll give you a recap of the trip, including almost all of the restaurants (I think there were about 20 of them and I’m sure I’ll forget one) and some special places that I absolutely must return to. Mostly though, I was a victim of watching 24 hour news shows. Mexico is really really really dangerous if you’re part of a drug cartel… you know, like Los Angeles can be dangerous for gang members. I love Grand Velas. We started staying there several years ago with our first adventure being to Casa Velas the boutique, no kids, not on the beach property in P.Vallarta. We stayed at Nayarit on our second trip and our now members in Riviera Maya. And yes, the rooms—magnificent, and the service & food….ahem. Lovely.